Organic farming is a lot about battling pests and disease, without the arsenal of chemicals that conventional farming uses. One of the cornerstones of organic farming is the health and earth implications of refraining from using synthetic fertilizers and chemical pesticides and herbicides, which have blanket effects on soil health, biodiversity, air quality, toxicity of fruits and vegetables, and other implications to insects, humans, and the earth. But bugs and weeds are still a problem, and organic farming continues to develop different weapons and tools to combat them. One common misconception is that organic farms don’t spray anything at all, and this is not true. But sprays used on certified organic farms are approved by a governing body. For more information on organic certification and what it encompasses (I am not very knowledgeable on this – yet! ), see the Certified Organic Association of BC. An interesting debate is on the rise, as well, about certified organic vs “beyond organic” and handshake-organic (trusting that someone is using organic practices, without certification). But that is for another time. Marjo, of ES Crop Consult, led us through the basics of Integrated Pest Management (IPM), which is a broad way of defining pest management in a way that’s not necessarily organic, but is also not spray-first-ask questions later. Know as much as you can about what pests are out there, and about your crops. 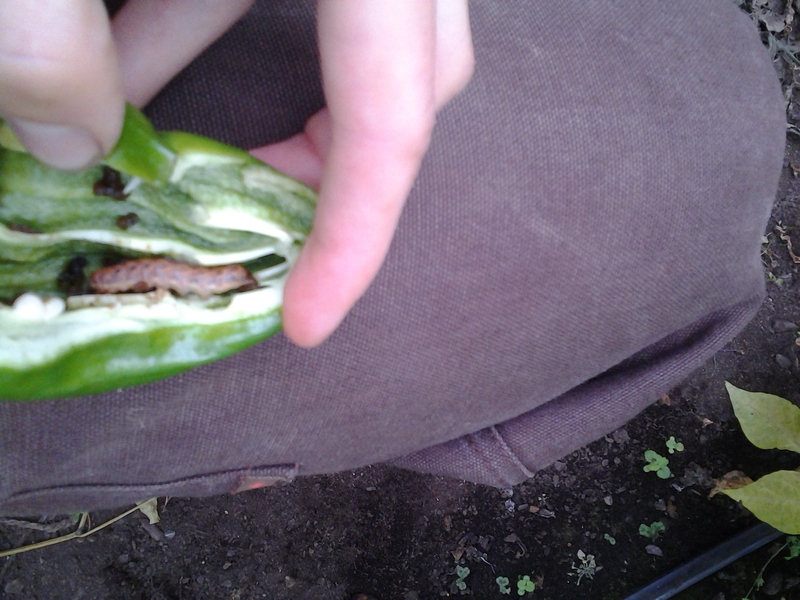 Knowing what kind of pests are likely to appear in each crop will help to identify problems, and knowing what healthy/unhealthy plants look like is also very important. Monitor for pests to determine the threshold for action. In some cases, the threshold might just be as soon as you’ve seen one of a species; in other cases, it might be more. It’s also important to know what stage the insects are at in their life cycle, to know when your actions will have the most effect. Evaluate your actions – did it work? Why or why not? Was it about timing? If you don’t evaluate, then you won’t be able to improve the outcome next time. There are a variety of tools that can be used to determine what pests are in the field, including sweep nets for flying critters, pheromone traps, sticky cards, or other specialized traps. 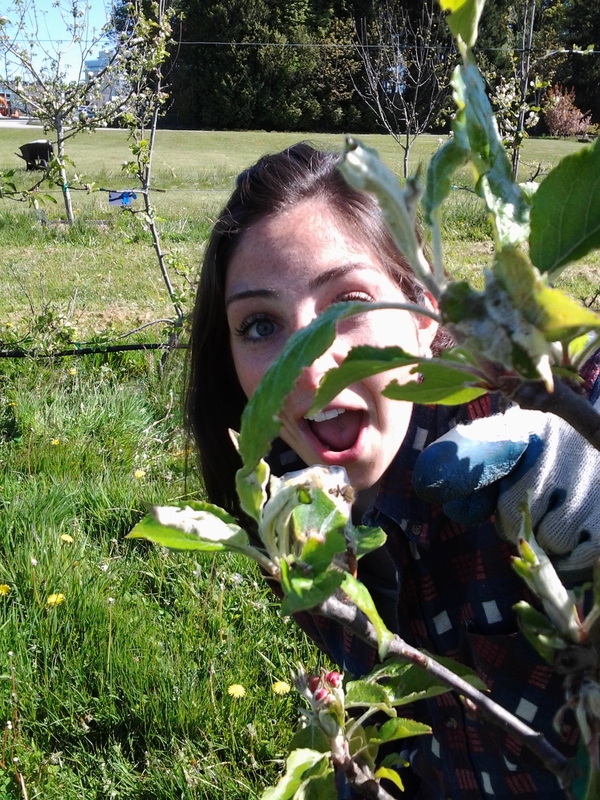 And of course, the UBC Practicum favourite, go out there and look at the plants! Turn over the leaves, see what you find, and take note. pretty good option. On a larger, organic farm scale, there are a few sprays that we use on the farm. For aphids on the brassicas (kale, collards), we spray a concentrated soap mixed with water. We have also used DiPel, an organically approved insecticidal spray, for other pests. Other sprays are probably being used, but I’m not familiar with them. But UBC Farm takes an integrated approach, and are often looking for other ways to combat pests. Besides sprays, there are other ways to discourage pests and maintain balance on the farm. One of the keys is attracting beneficial predators, like ladybugs, lacewing moths, and birds. Biodiversity on the farm is important, and having attracting flowers in hedgerows. Ensuring habitat for other creatures on your farm is key, as well as windbreaks, animal corridors, and of course enough bee food – constantly flowering plants to keep your bees healthy. The Integrated Pest Management in an organic setting may be a lot about hand-squishing, but there are a lot of various ways that organic farmers work to maintain a balance in the hopes that no pest will completely take over and destroy. We have certainly seen a lot of various bugs on the farm! Moving to a 4 Day Week! 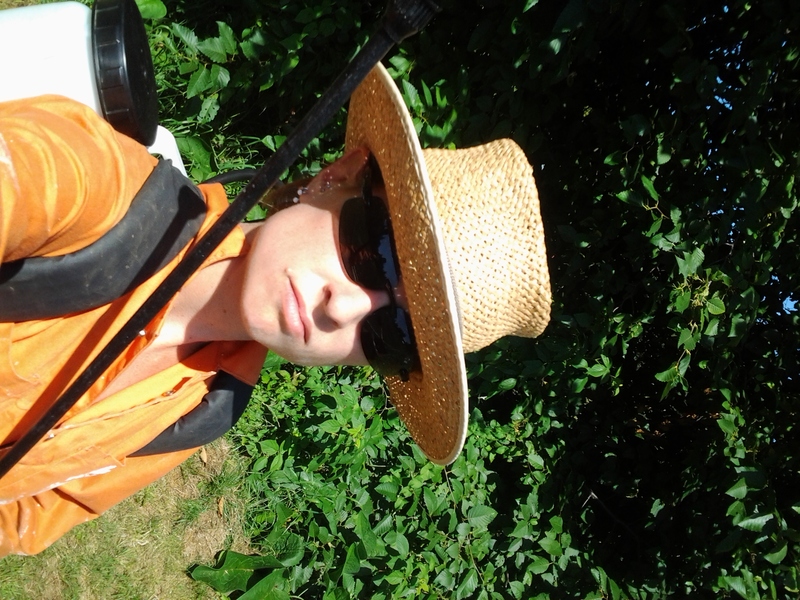 This week, my practicum program moved abruptly from once a week to 4 days a week, and it was a busy week of perennial weeding, tool sharpening, building, integrated pest management and bed preparation. One of the things I’ve come to appreciate about organic farming is the labour involved. 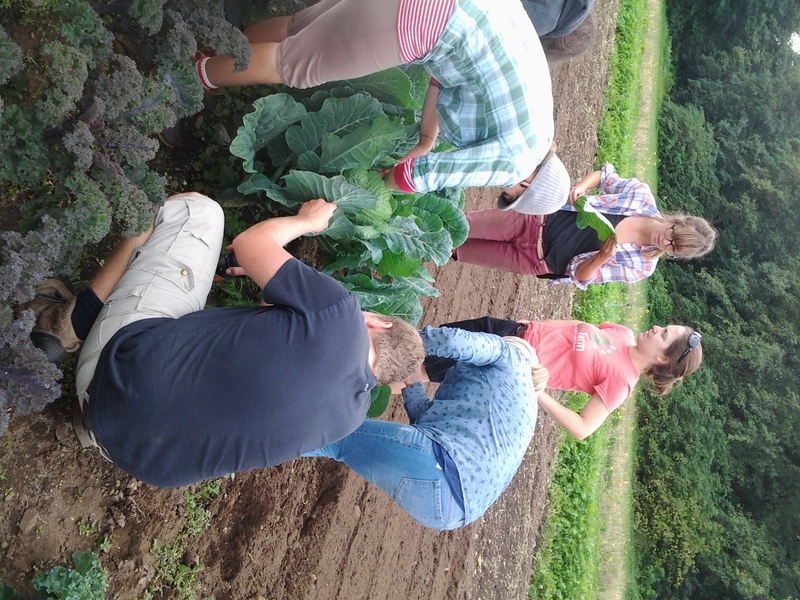 UBC Farm has an army of volunteers, research students and faculty, staff and us, the practicum students, all eager to contribute to the farm’s production and maintenance. We spent a good few hours weeding a few rows of perennial flower beds, which started out almost completely overgrown. Weeding is a constant battle on an organic farm, but it’s a pretty satisfying task in my mind. You get to hone in, tune out the world, and see visible results from your work. Just ignore the fact that a week later, you might not be able to tell that you did anything! Our many-handed help was also used to quickly transplant a few beautiful rows of Walla Walla onions. This week, we got into some building. 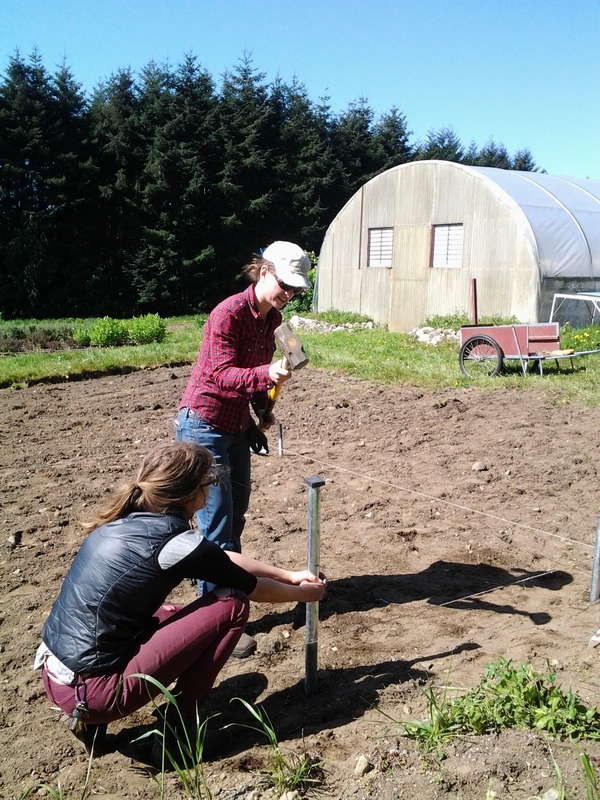 We set the posts for a 40’x12′ high tunnel, where we will grow tomatoes and peppers this season. I learned that setting a square is something of a difficult task to start with – the Pythagorean Theorem was mentioned, and I had to dig around through 12+ years of forgetting to bring up a memory of high school trigonometry (to my relief, someone else had the iPhone app that just figures that stuff out!). 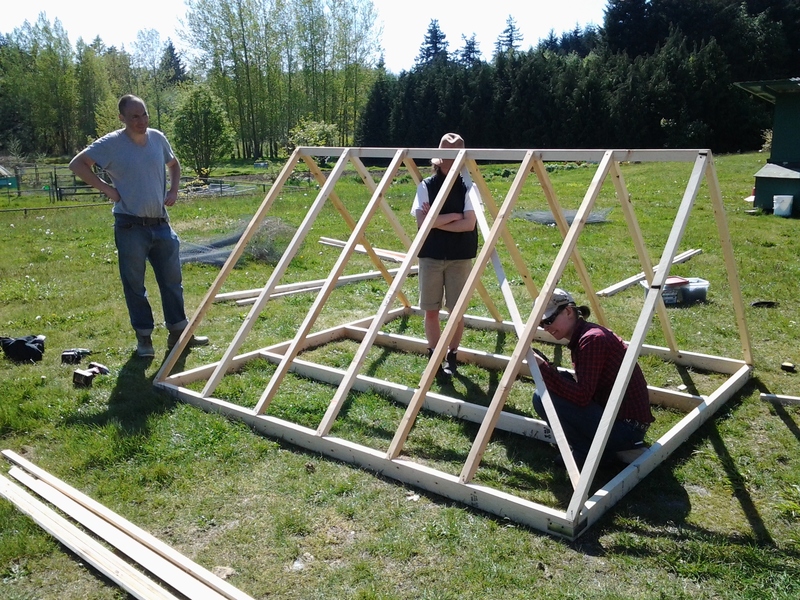 We also were tested on our trig angles and measurements in building the wood frame for a chicken coop. We didn’t get either structure finished, even with 13 of us working on them all day Friday, but I got to use some powertools, so I was happy! We also had a session on tool sharpening, using files, sandpaper and carbide to sharpen a few of the farm’s pruners and harvest knives, emphasizing the importance of keeping tools well-maintained to lengthen the life and utility of the tools. In another example of how organic farming is labour intensive, we spent a good portion of Saturday in “Integrated Pest Management,” a.k.a hand picking and crushing leaf roller caterpillars off leaves of apple trees, and seeking out webbed nests of hundreds of tent caterpillars, both of which would cause significant damage to the foliage, flowers and fruit in the small orchard. So much time spent seeking out and destroying these pests certainly gives perspective on how much labour goes into growing high quality organic food. So, the next time you consider complaining about how expensive things are at the farmer’s market, remember just how much labour these farmers are putting into growing that amazing, healthy, sustainable food. And ask yourself, don’t they deserve to be fairly paid for their work?